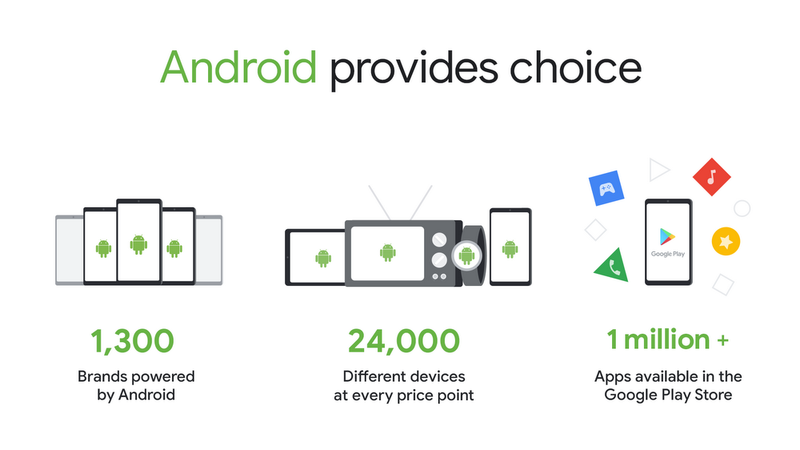 The Commission's argument is largely predicated on contracts Google has with manufacturers to ensure Google apps and services come preinstalled on Android devices. In his post, Pichai argues that device manufacturers aren't obligated to enter into such agreements, and points to Amazon's Fire devices, which run a version of Android without the Play Store, Chrome, or any other Google-flavored apps packed in. Pichai also points out the multitude of alternatives to Google's preinstalled apps, which can be installed in a few taps, noting that apps like Firefox and Opera have been installed millions of times. "Today’s decision rejects the business model that supports Android, which has created more choice for everyone, not less," Pichai wrote. "We intend to appeal."